We hope you enjoy your visit and take a while to browse our pages to learn about the Society and the wonderful Burmese cat. aid and support all activities for the benefit and welfare of all cats. The Society was granted incorporation status in 1994. It is affiliated with NSW Cat Fanciers' Association Inc.
Our Club's administration and activities are based in NSW. The Club holds an Annual Championship Show, a highlight for the start of the show season. You can read all about this main event on our Show page. We have an archive of past show results. The Society is unable to settle disputes between our breeders and kitten buyers. This is a transaction between the purchaser and the seller, and any disputes which arise should be directed to the NSW Office of Fair Trading. Our 50th Anniversary Show wasat St Ives Community Hall, and from observations throughout the day, seemed to be a very successful event, with good weather, lovely cats, and many many visitors who were very interested in seeing the cats. A great range of prizes were awarded those whose exhibits were judged to be the best on the day. Peter Williams, our UK judge continued to captivate his audiences as he does each time he judges for us. (Peter was judging the specialist Burmese ring). Val Cashman, Marg Sim and Sue Thomas judged the 3 Group 3 pedigree exhibits, with Garry Stephens, Chris Buckley and Sue Thomas judging our companion exhibits. Our member breeders who have been breeding for the longest years were honoured yesterday. They are Mrs Sally Prass (Cowra NSW), Anne Milner (SA), Mrs Dianne Dolman (SA), Margaret Walker (NSW) and Marg Sim (NSW). Unfortunately Anne Milner (SA) could not be with us yesterday, but it was lovely to see Sally and Dianne at the show. Both Marg Sim and Margaret Walker were also there in various club capacities throughout the day. A successful show is the culmination of work by the members of a club, and a big thank you is given to all those who helped before and on the day. Perhaps you are looking for a Burmese kitten or an adult burmese cat, (usually a desexed queen or older cats who need rehoming). 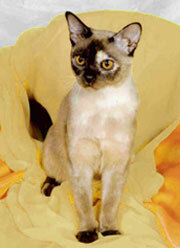 Why not view our kitten Classified section or visit our Breeder listings? We advise that the advertisements which appear on our website are not in any way an endorsement by the Society of any particular breeder. You are advised to do your research in relation to buying kittens or cats, no matter from whom you buy. REHOMING OF BURMESE CATS Anyone, member or not, can contact the Club, via Melanie Martin, Sue Thomas, Chris Smith or Sofia Cordell-Fuda, (see contact details below) to arrange for a listing for any burmese cats in distress to be placed on our website. Please note that these cats in distress are just that - burmese cats who for various reasons (such as death or illness of owner,moving overseas, breakup of family, marriage etc ) are requiring new homes from time to time. 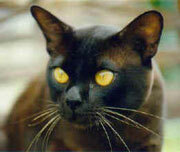 This is also a service for burmese cats who have been found because they were lost, or abandoned. 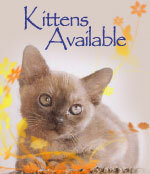 Listings for them can be found under "Kittens" - Available Kittens/Older Cats tab. We suggest you contact your local vet, or your own state's cat fancies first before contacting us, as they most probably have their own rehoming services, or know who may be looking for a cat. It is always best to find homes locally for the cats requiring new homes, however we are always happy to assist . Depending on your location, here are a few contact details of clubs or associations in other states who may be able to help you. You may also google cat fancies in your home state to find clubs to contact. Queensland - There are at least three Cat Fanciers Associations which you could contact. NEWSLETTER: Members, if you wish to contribute to our Newsletter, please contact Sue Thomas at sue_k_thomas@hotmail.com or 0412 808777, or Melanie Martin at melanie@burmeseaustralia.com or 0411 311 311.